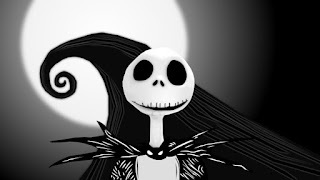 Jack Skellington is a popular character and the protagonist of the 1993 film The Nightmare Before Christmas, Jack is the "Pumpkin King" of Halloween Town, one of the most important character of this celebration. Bellow you are going to find a selection of images with Jack, the pumpkin king, that you can use to send an image on Halloween day. 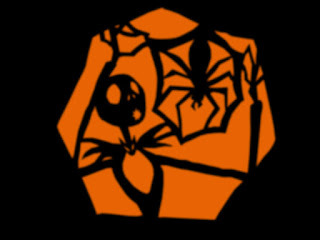 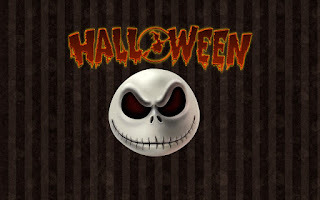 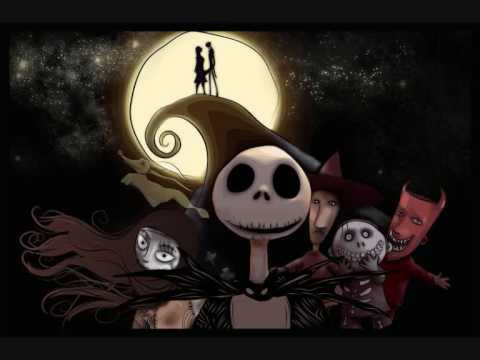 In this image we can see Jack's face on a black background with the word Halloween above. 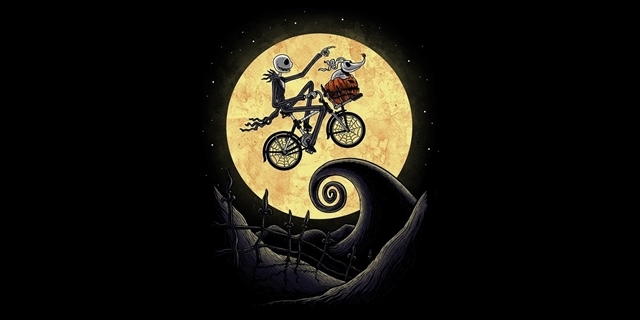 This is an amazing image with Jack flying on a bike in the middle of the night. Interesting image with Jack and his girlfriend in front of the moon, in front of them it is possible to see Jack and some other friends. In this image we can see a black Jack holding a spider on an orange background. 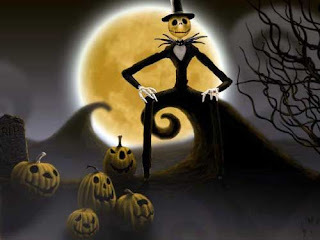 Wish Happy Halloween with this image, here we can see Jack on an ugly pumpkin. 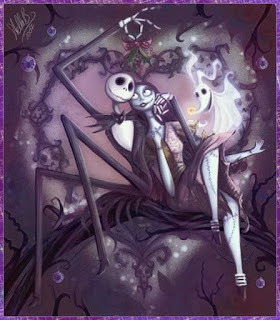 "Romantic" image with Jack and his girlfriend sitting together and holding a particular gift. 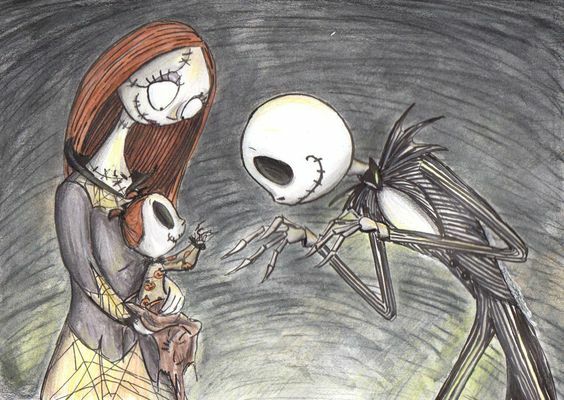 A beautiful image with Jack's family, we can see Jack, his wife and his baby. 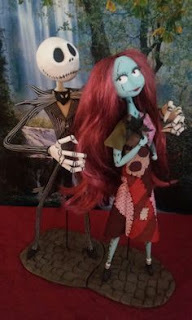 Elegant, glamorous and horrified Jack and his girlfriend. 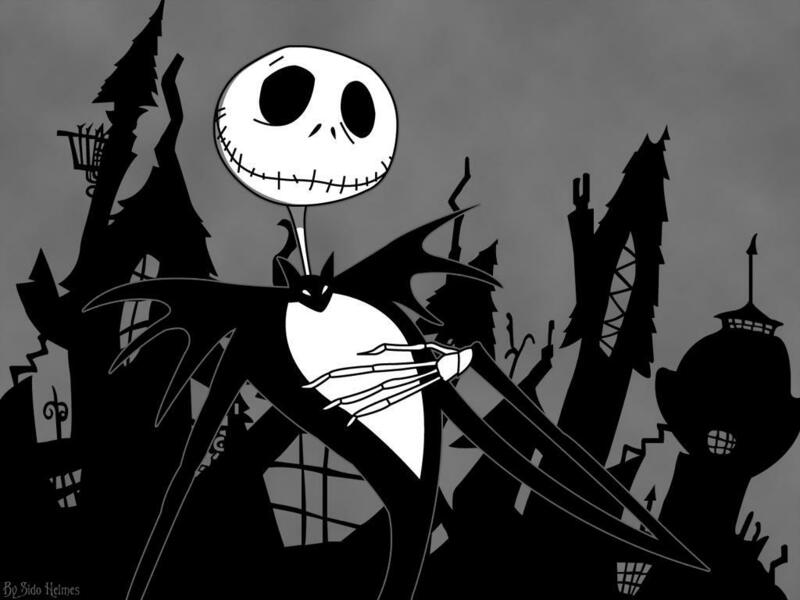 Jack with a particular background with some terrifying buildings. In this image we can see Jack smiling with the moon shining behind. An elegant and forma Jack wearing a suit and a hat next to some pumpkins and with the moon behind. 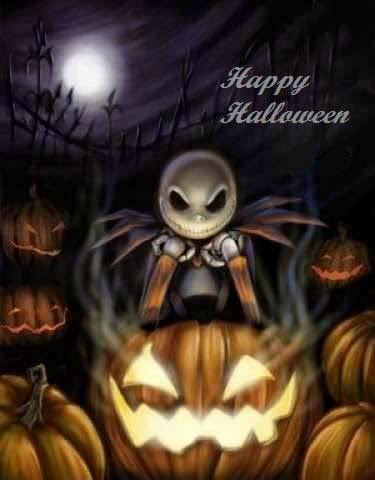 I hope you have enjoyed these images with Jack, perfect for Halloween.